Towels are not available. Telephone can accept incoming calls only. 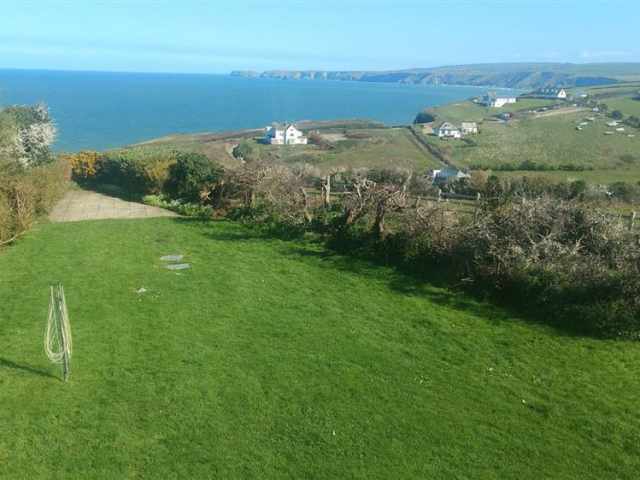 With panoramic sea views overlooking Port Isaac Bay from the first floor inverted accommodation, this spacious and detached, double glazed family house stands in its own extensive garden with the added bonus of ample on-site parking for three cars. 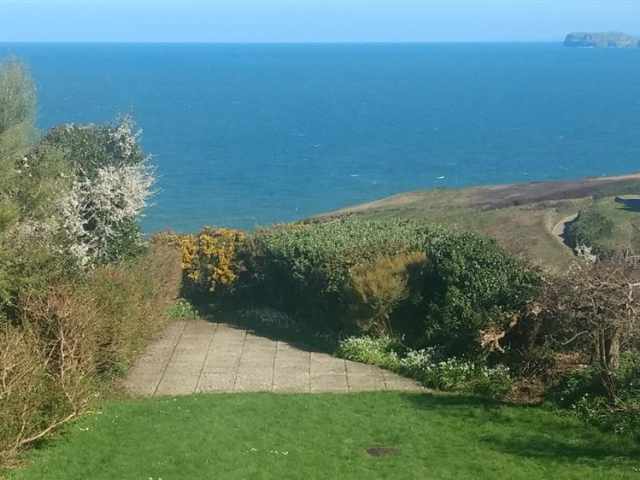 Offering warm and comfortable year round accommodation, the property is set at the top of the fishing village of Port Isaac on the spectacular north coast, just a fifteen minute walk down the hill to the historic harbour and also the quiet cove at Port Gaverne. 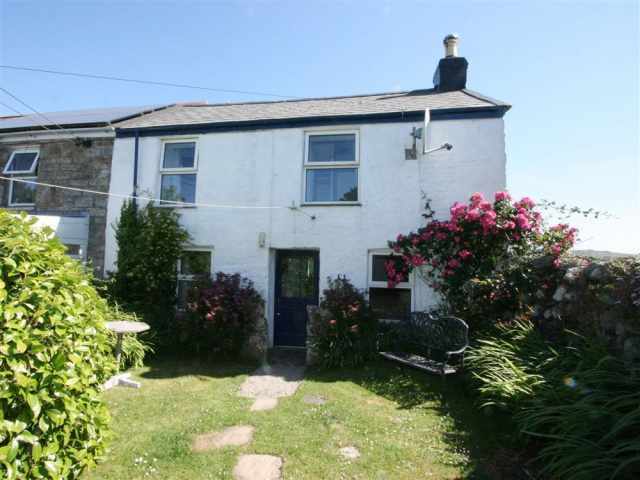 There is a grocery store and village play area for children close by and a small selection of shops, pubs and restaurants at the bottom of the steep hill about half a mile away next to the attractive harbour and old fishing village. 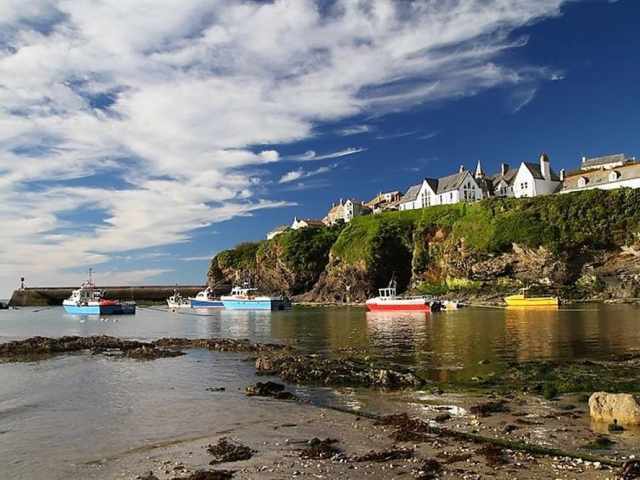 The Fisherman's Friends Sea Shanty Singers can usually be heard singing on Friday evenings throughout the summer on the quayside in Port Isaac. 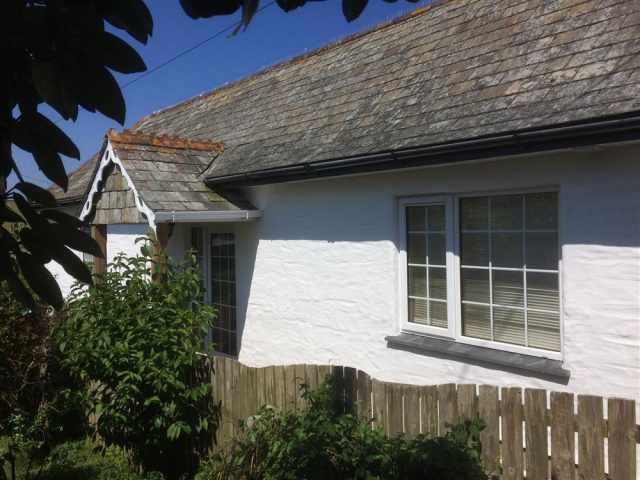 For a wider choice of amenities the market town of Wadebridge is about 9 miles. 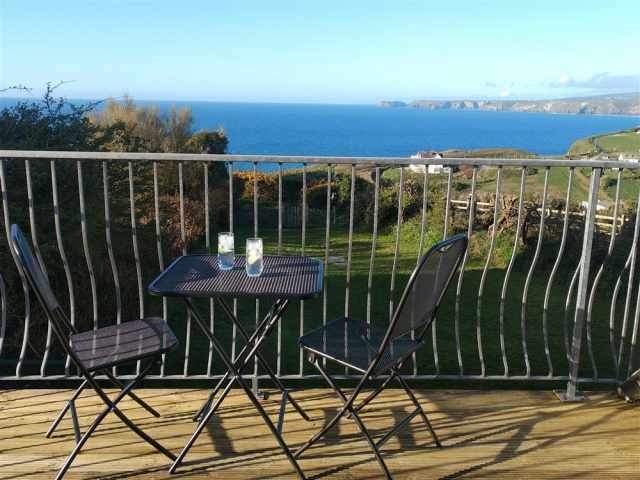 Port Isaac and Port Gaverne have small stoney beaches with sand at low tide and the glorious sandy beaches on the Camel Estuary, including Polzeath, Daymer Bay and Rock are all approximately a 15 minute drive. 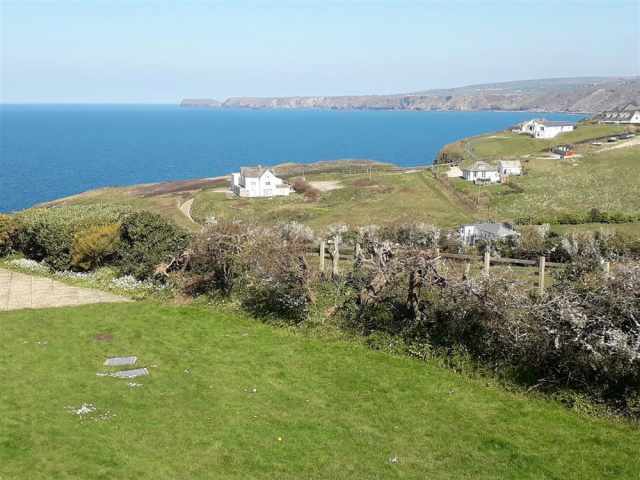 The dramatic South West Coast Path offers spectacular scenery, watersports are available locally and there are three golf courses within easy reach. 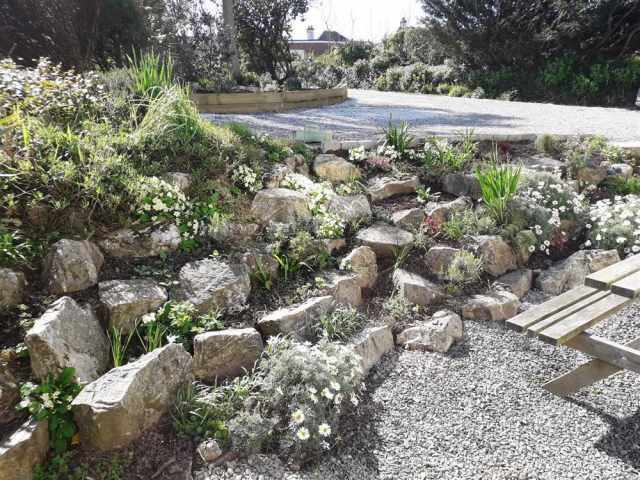 Approached by a gated gravel driveway that leads through the mature sheltered garden on the landward side, five steps lead down to the house. The front door opens to a freshly renovated entrance hallway with coat pegs. Leading off to one side are a family bathroom W.C. with hand basin and shower over the bath and two bedrooms, a twin bedded room and one with 3ft bunk beds and an additional single bed. 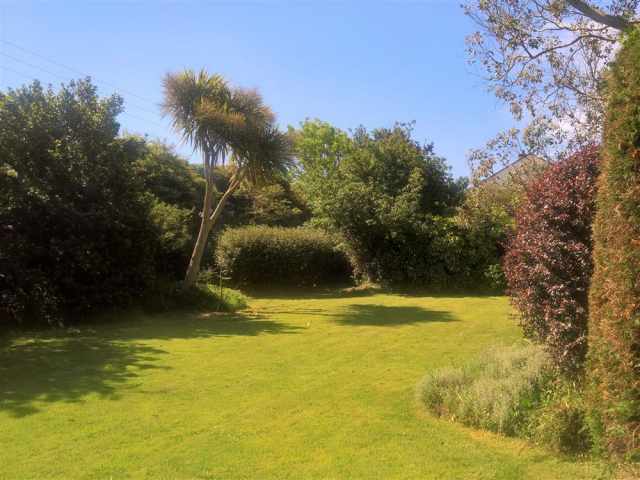 At the rear, a fully fitted kitchen/dining room have two windows that look seawards and there is an adjacent utility room with laundry facilities and storage space for beach gear. 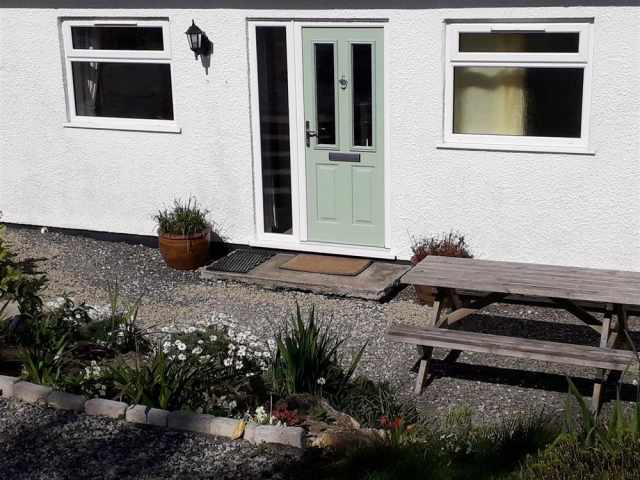 To complete the ground floor accommodation, on the opposite side of the hall there is a double bedroom with an en-suite shower room W.C. and hand basin with optional access by day from the utility room. 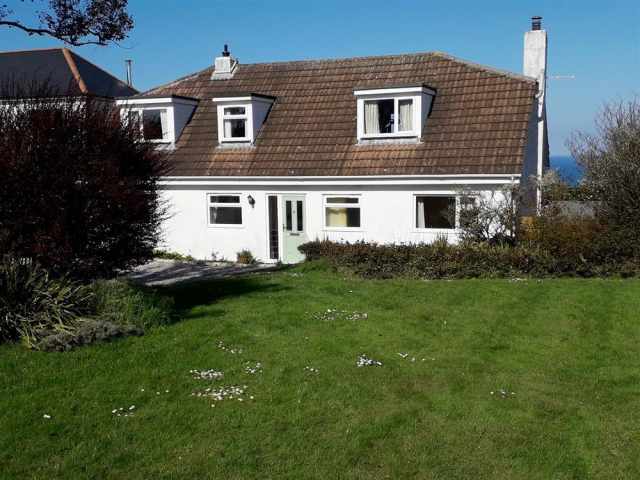 Saving the best to last, carpeted open tread stairs lead directly up to the first floor where there is a very light and spacious sitting room with comfortable lounge seating enjoying magnificent views from picture windows that look over the garden and far out to sea. 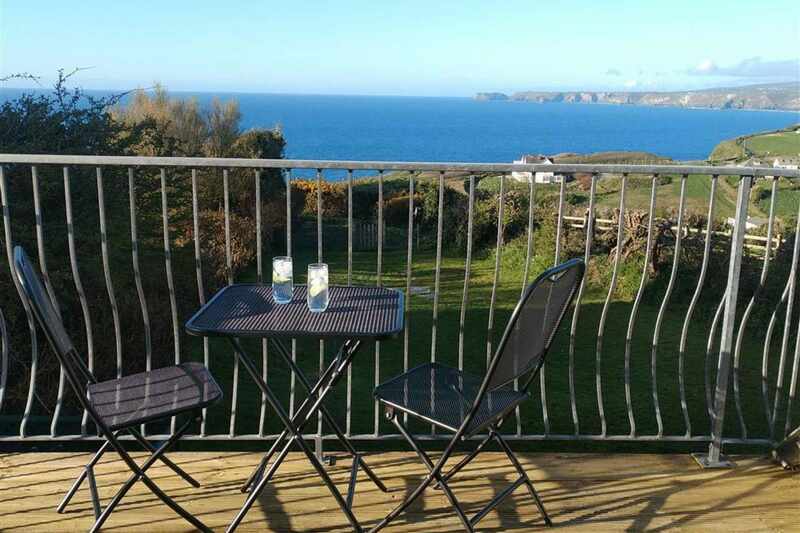 At one end of the lounge is a dressing room which leads through to the delightful master bedroom with a double bed, hand basin and lovely views from full length patio doors opening to a railed balcony looking directly across Port Isaac Bay. 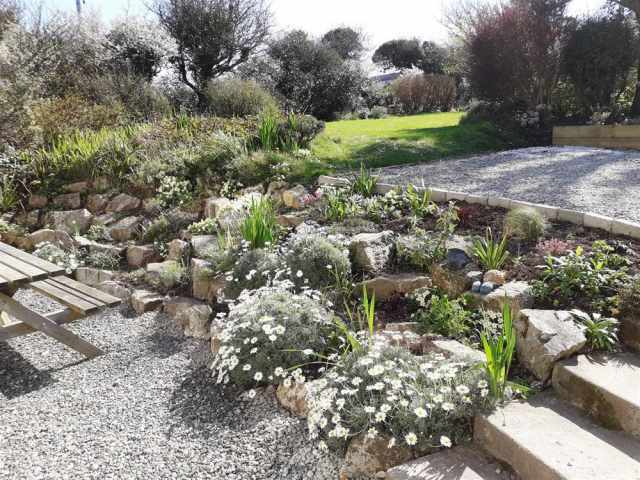 A door opens from the utility room to the rear garden on the seaward side with a large level lawn bounded by Cornish hedge and a barbecue area which looks down towards the small stoney beach at Port Gaverne.